This week’s column has two simple goals. The McCullen Center is exactly the sort of effort Catholics in the metro area should be aware of and support in the years ahead — years that will likely challenge the Church’s freedom to preach the Gospel and pursue her various ministries in the public square. I’m grateful to Mr. Joseph McCullen (a Villanova alumnus) for generously backing Professor Moreland in his vital work. My second goal connects to the first. On Tuesday, April 10, the McCullen Center will host New York Times columnist Ross Douthat for a discussion of his new book, To Change the Church: Pope Francis and the Future of Catholicism (Simon and Schuster), and the issues facing Catholics in the future. Douthat is among the most articulate cultural observers in the United States. His previous book, Bad Religion: How We Became a Nation of Heretics (2013), is a penetrating explanation of the American temperament and the religious landscape it has produced. To Change the Church is an equally intelligent and absorbing work, even when the reader finds himself questioning or disagreeing with it. I’ve been pleased to welcome Ross Douthat as a speaker at the Archbishop’s Lecture Series here in Philadelphia in the past. It’s a pleasure now to encourage readers to attend his April 10 presentation at 4 p.m., at Villanova’s Charles Widger School of Law, in the Arthur M. Goldberg ’66 Commons. Admission is free; there’s no charge. My thanks go out to Professor Michael Moreland for his courage and good sense in creating the McCullen Center. May it be fruitful, effective, and grow. 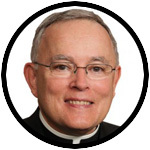 What a pity to see Archbishop Chaput, a bright and engaging church leader in the U.S., promoting Ross Douthat as a competent voice about Catholicism. Douthat is an enthusiast who wears his “convert” status all too obviously. He is woefully unfamiliar with genuine Catholic theology, its culture and tradition. In short, he has no authority, other than being a spirited ‘opinionist’ and would-be opinion maker to comment competently on this pope, or any pope. Let Douthat stick to political commentary, where he is no less lacking in authority than other opinion-makers. But let him not pretend to be a theologically informed Catholic from which position he pretends to comment authoritatively about the complex ecclesiology of the Roman Church. The statement equating the unhappy truth of divorce with abominations such as abortion and euthanasia is deeply flawed and troubling. The conclusion that divorce from an abusive or dysfunctional marriage is akin to killing an unborn child, or slaying a disabled person, is profoundly disturbing. The Church has long recognized annulments, which from a practical perspective, is an acknowledgment that some marriages are doomed from their beginnings. Divorce is a recognition that all humans are frail and imperfect. Many good people have suffered mightily for the balance of their lives in an effort to follow Catholic teaching on divorce. There are no such burdens on the good men and women who had religious vocations, were ordained or took their consecrated final vows, only to leave the religious life, marry and become good and loving spouses and parents. Consider the example of Frank and Janice Daly, a former priest and nun who later married and had children. After Janice died, the Catholic Church allowed Frank to return to the priesthood. Why should lay people, who find themselves in impossible situations, not have the same opportunity for a loving and fulfilling life as former members of our clergy and religious orders? Prayerfully, and with sincere respect for the human condition, I submit that our Church should apply Jesus’ teachings in a merciful way for all of its people, people who are imperfect yet deserving of love and happiness in this life, and salvation in the next life. You are such a great American and a great Catholic to encourage this debate! My heart pounds with admiration and patriotism whenever I read what you write! We need you either in the White House or in the Vatican! Please pray for Americans we do for you! Amen! Amen! Amen!! This is a much needed statement in light of troubling social trends that affect marriage, the family and what it means to be a true Catholic. Hope and truth live! Jesus Himself explained, as we read in the Gospels, that Moses granted right to divorce to his people not because God was wrong at first or God changed His mind on the marriage issue, but simply because the people were hard neck people. So I would be careful about putting decency and infallibility on the line in this case.